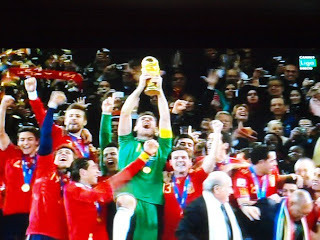 the observatori: Campiones, Campiones; Ole, Ole, Ole! With school done and most people gone from Fontainebleau, it was time to find fun somewhere else. So, a few of us headed west to Spain to hang out at various family holiday homes (oh man, it's great to have friends in all places! 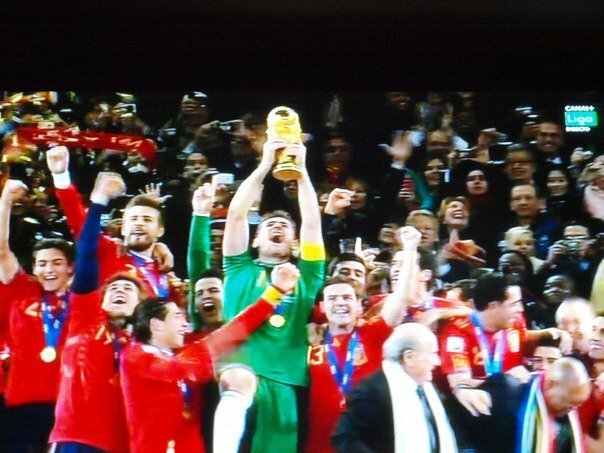 ), and take in the World Cup final. 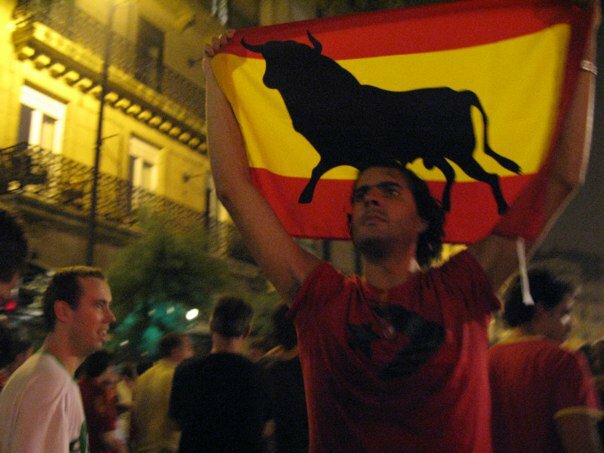 It's hard to imagine that any place in Spain would not be totally geared up for the game...except, that is, Basque country. And, as our first stop was San Sebastian, that is where we took in the game. My friends advised that I would be wise to change out of my red shirt until we were in a private area to view the game. 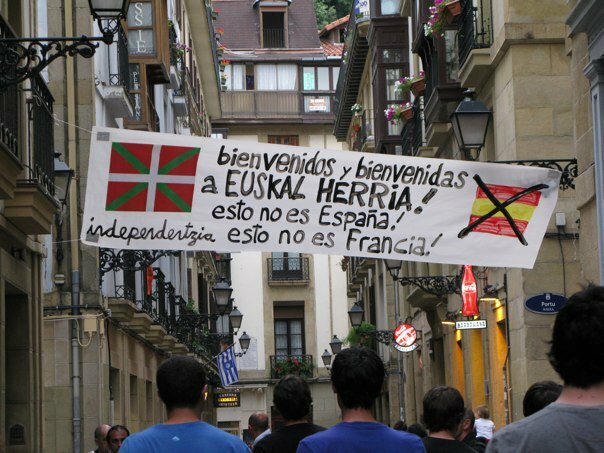 Despite the success of the Spanish this year, it seems that the Basque are still not willing to acknowledge an association. Finding a bar that would show the game was even a challenge, but we eventually crammed ourselves into a sardine can of a bar (there were definitely some fire code violations happening in there). 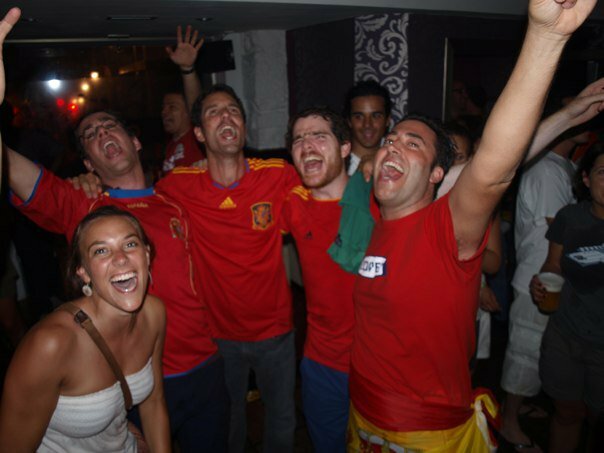 We 'disrobed' to reveal our red and watched with enthusiasm aside the closet die hard spaniards bursting with national pride. 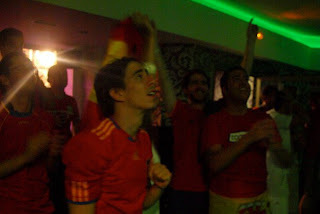 And what an exciting game it was; with extra time to build the anticipation. Every time there was a break, the bar tender passed around a sculpture of a buddha for us all to rub for good luck. Eventually, it worked. And people forgot about hiding their pride and spilled into the streets with fireworks and chanting. 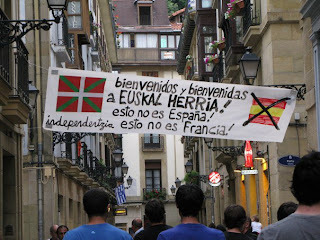 A complete transformation of the quiet Basque town into a raging spanish celebration. Incredibly touching. Turned out San Sebastian wasn't a bad place to take in the game afterall! the red soccer ginch could be a great halloween costume for a local spaniard with enough guts... or balls. 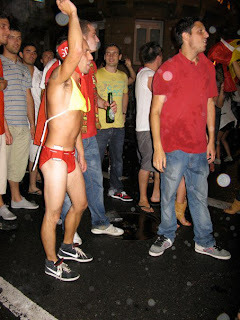 why don't you dress as a spaniard for halloween?